It is the purpose of this page to show you how your Board of Trustees is structured and how it operates. Popular control of public education is one of the cornerstones of a free society. The people exercise that control through their Board of Trustees. So that you may take an active part in its deliberations and operations, this brochure will explain how you can bring matters of concern to the attention of the board. We hope that this information will be just the starting point for your long participation in district and school affairs. Board Meetings: The Board of Trustees meets regularly on the second Tuesday of each month in the boardroom at the District Office, unless otherwise specified to meet at one of the school buildings. In the case of a special meeting, public notice is made in advance of the date and place, and is posted at the entry of the District Office and at least two schools. Board Meeting Protocol: Meetings of the Board of Trustees follow a standard agenda. Following approval of minutes and other items on the consent agenda, the board proceeds to other items of business. This normally includes special reports, old business, new business, policy review, and items of information. There is a sign-up sheet available for visitors. If you wish to speak on any item on the agenda, please note your comments on the sign-up sheet along with your name. Please note: The board's function is decision-making. It wants to hear the sentiments of the public to assist in making those decisions, but time spent answering routine questions subtracts deliberation time from more important board business. Also, if a resident has a question about the operation of the schools, he/she is encouraged to contact the teacher or administrator closest to the situation. Experience has shown that this is the best procedure. The questioner gets the response he/she wants directly; the board is freed to consider other matters. To Speak to an Item Not on the Agenda: Contact either the board chair or the superintendent at least ten days prior to the next regularly scheduled board meeting to request to be recognized. 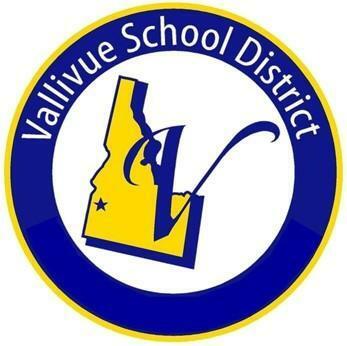 Board Actions: The Board of Trustees has complete and final control over local school matters subject only to limitation imposed by federal or state law and applicable regulations of the State Board of Education. To discharge these various responsibilities, the board often calls on the consultative resources available in the community and in the professional staffs of the schools. Charges, Complaints or Challenges: At a public meeting of the Board of Trustees, no person should orally initiate personal charges or complaints against individual employees of the district. Any charges, complaints or challenges should be registered first with the appropriate building principal or district administrator. The resolution of such action will be handled consistent with district policy #205.3. All such charges, if presented to the board directly, shall be referred to the superintendent for investigation and report.